If you need a high performance game court and multipurpose floor, a floor that can handle a heavy load, DynaFlex® is the solution. A perfect blend of resiliency and durability, DynaFlex® is designed to meet the wide variety of needs that most facilities have (tournaments, dances, commencement exercises). DynaFlex®, by Dynamic Sports Construction, Inc., features a blend of urethane and rubber that yield both high performance and durability. 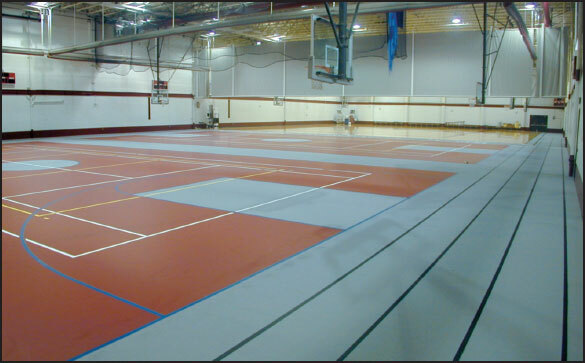 DynaCourt® is a solid PVC sports flooring system, pre-manufactured, and engineered for a wide variety of uses. Available in various thicknesses and with today’s popular wood grained hues (Maple, Golden Cherry, Oak), DynaCourt® is both a visually appealing, and a durable athletic/multi-purpose flooring system ideal for schools, church/worship facilities, and recreation center’s. We install high performance multipurpose flooring at gyms, churches, recreational centers and much more all across the U.S.
A hybrid system that merges the best attributes of sheet and poured systems so any athlete can excel. Best+Best=DynaForce®. The beauty of this system isn’t just its amazing looks. DynaForce® is about superior performance, safety and flexibility. From basketball to volleyball, PE to aerobics, soccer to football drills and more, DynaForce® delivers! 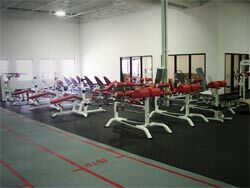 Dynamic Sports Construction, Inc.’s IronTuff™ is a durable seamless floor for use in your weight room and cardio areas. 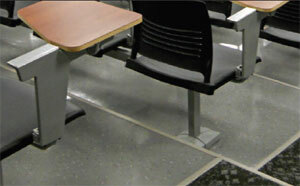 It can withstand heavy weight and cardio equipment and even dropped weights. With IronTuff™ … the name says it all. A revolutionary therapeutic floor designed to enhance equine health and safety, DynaSteed™ is perfect for all horse-related facilities: surgical and training centers, commercial stables, breeding farms, veterinary clinics. Easy to clean and created to withstand heavy-duty wear and tear, DynaSteed™ is a seamless polyurethane system featuring a strong rubber base mat for greater safety, comfort and resilience. Its poured self-leveling wear coat cures into a tough, flexible membrane which is colored with a hard wearing, mar-resistant structured top coat ─ making it virtually indestructible! DynaDeco’s™ appealing Terrazzo look is ideal for schools, hospitals, businesses – anywhere a professional-looking, durable, hygienic multi-use floor is needed. With its advanced technology, DynaDeco™ is a beauty. This system offers an appealing Terrazzo look, available in a wide range of colors to compliment your décor, whether board room, school cafeteria, hallway, reception area, classroom, showroom, or healthcare facility. DynaFit™ goes well beyond “fitness for purpose” in the selectorized area, the spinning room, the weight room—every space in your facility. DynaFit’s™ advanced manufacturing process makes it extremely dense, resilient and wear resistant, and all that toughness and durability comes with exceptional good looks and color combinations that make sports and fitness facilities as attractive as they are functional. Dynamic Launches First System Merging Best of Wood with Best of Advanced Synthetic Sport Flooring! DynaSelect™ HD’s new compounding technology yields a harder, stronger system. Like wood, it offers athletes better energy return, more natural ball bounce and play. Our thicker advanced technology pad ensures DynaSelect™ HD delivers more consistent shock absorption for enhanced safety, performance. Dynamic Sports Construction strives to pair the right multipurpose flooring for your facility’s needs. 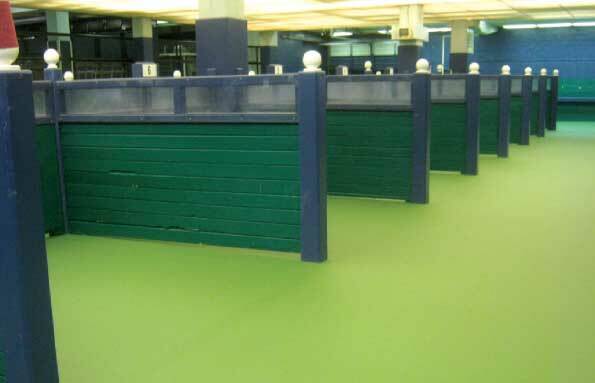 We carry 10 different lines of high-performance indoor court flooring, all built for different needs. Our flooring systems represent the latest trends for indoor athletic courts, and we have more than 30 years’ experience with indoor court construction. Athletic sports floor construction for basketball and multipurpose courts are the top specialties at We also work with all commercial needs including indoor flooring. It does not matter what your budget or project scope is, we can and will do it for your CrossFit, equine, educational, or fitness facility! Dynamic Sports Construction strives to provide the best product specific to each customer’s needs and surpass expectations with a system installation in a timely manner. Get in touch with us today to learn more about our products and our team. We would love to share with you how our products provide the durability and performance that you need for years to come!